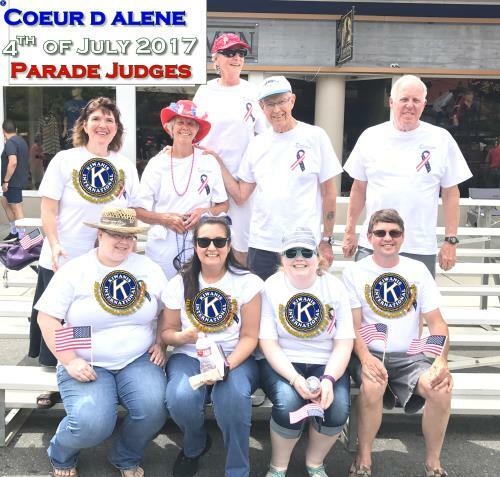 Each year, Panhandle Kiwanis members volunteer to set-up the Coeur d Alene 4th of July Parade. This year, in addition to staging the floats and participants in the event… several of us also volunteered to act as judges for the event. Mary Jo Kringas, Ashleigh Hathaway, Elaine Espinoza, Michelle Mori and George Beebe are shown here. on the 4th Tuesday of every month. 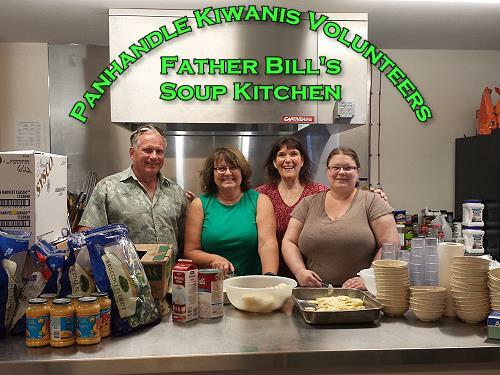 Dinner is provided free for 50-80 guests from the local community.